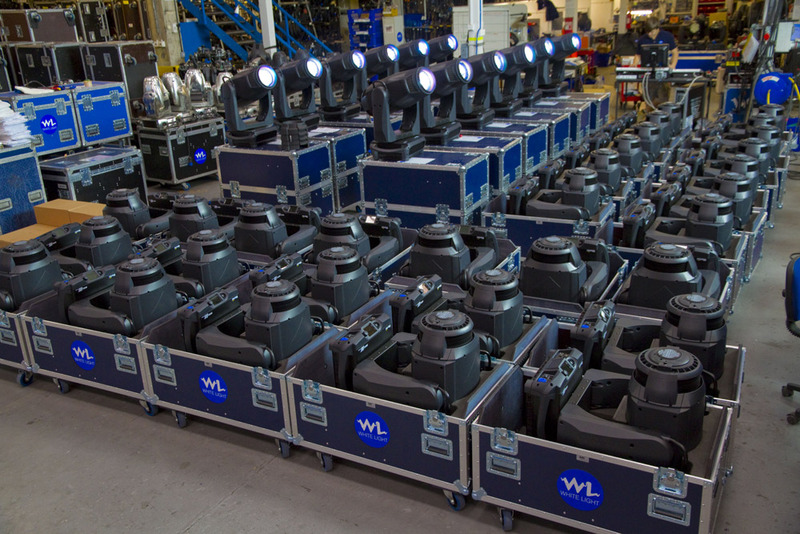 Leading UK rental company White Light has recently added 50 Martin Professional MAC III series fixtures to their extensive inventory of Martin Professional lighting gear. The new purchase includes both MAC III Profile and MAC III Performance fixtures, Martin’s leading 1500 watt, high-output profile moving heads. The MAC III series offers a superior feature set and is capable of punching out over 33,000 lumens of power with a unique fat beam look and 11.5 to 55 degree zoom. The MAC III Performance also features an interleaved framing system with full crossover of each blade and industry-first continuous rotation for new framing and effects possibilities. Lighting professionals will be able to get a closer look at the new MACs, as well as a host of other Martin gear, when the Martin Road Show visits the White Light facilities on Thursday, June 30th.